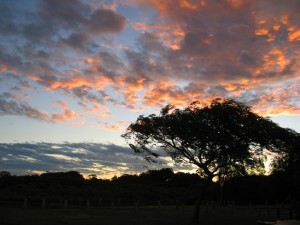 Check Sky Watch Friday’s links to 100s of bloggers from around the globe all showing their own view of the sky. The morning and evening skies have been ablaze with colour the last few weeks, hope you enjoy this very windy view. 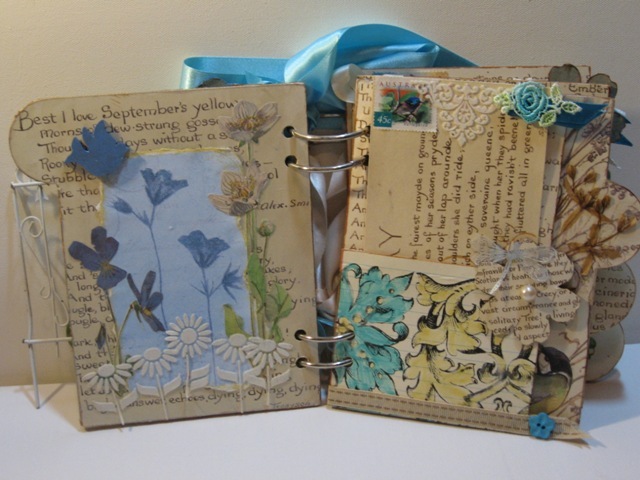 One of my favorite altered books with a garden theme. wow, cool idea. thank you for visiting my lil blog :)<BR/>cheers! Gorgeous evening sky (right?). Blues and orange together are just so vibrant and rich. I enjoy it immensely! The color is so inviting! What a beautiful sky to help us imagine bigger things. The sky does look windy but lovely with so much lustrous pink! Fire in the sky! Beautiful capture!<BR/>The quote right on!! like the sun radiating on the upper right of the photo…beautiful light. One can see how windy it is. The sign of a great photo. The colours are gorgeous. I love this weeks quote. You have a knack of finding just the right ones. That’s a beautiful landscape. The tree seems so humble and beautiful. Good shot for sky watch the colors are lovely. There is something very Gone with thew Wind about this image, the luminous fireglow of the clouds. Gorgeous. Very beautiful sky and landscape! I like your quote, too. Beautiful scenery and a wonderful quote, I’ll be thinking about that one for a while. Happy SWF! You have a bunch of wonderful photos on your blog. A dramatic sky watch! I really like the way you have composed this photo. I am equally impressed with the one of the tree and rocks in the previous photo. Living where I do, trees and rocks are my world! Oh lovely!! That is just gorgeous, love those colors! Such a lovely shot, gorgeous, rich colors in the sky! Thanks for sharing! Gorgeous colors, textures, contrast…this sky picture has it all. Thanks for sharing, happy skywatching!